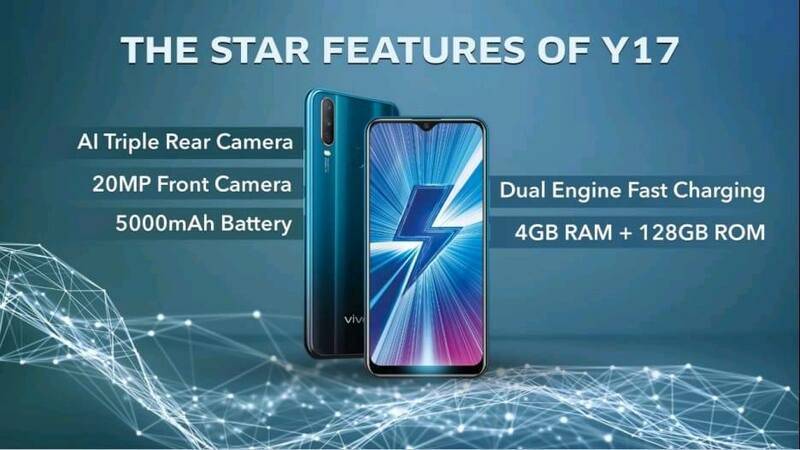 Vivo is set to announce a new mid-range smartphone Vivo Y17 in India and may be the most affordable triple camera phone. Posters of this upcoming smartphone have surfaced on the web which reveals some of the most important details such as design and basic hardware details of the device. Based on the poster, Vivo Y17 features a triple camera module at the rear along with a waterdrop display. The fingerprint sensor is present in the conventional position. These posters also reveal that Vivo Y17 comes with 4GB RAM and 128GB internal storage. On the front, there is a 20MP selfie snapper for selfies & video calls. The phone is backed by a 5,000 mAh battery along with support for Dual Engine Fast Charging. The poster indicates that the phone can be pre-ordered starting from 18th April till 30th April. 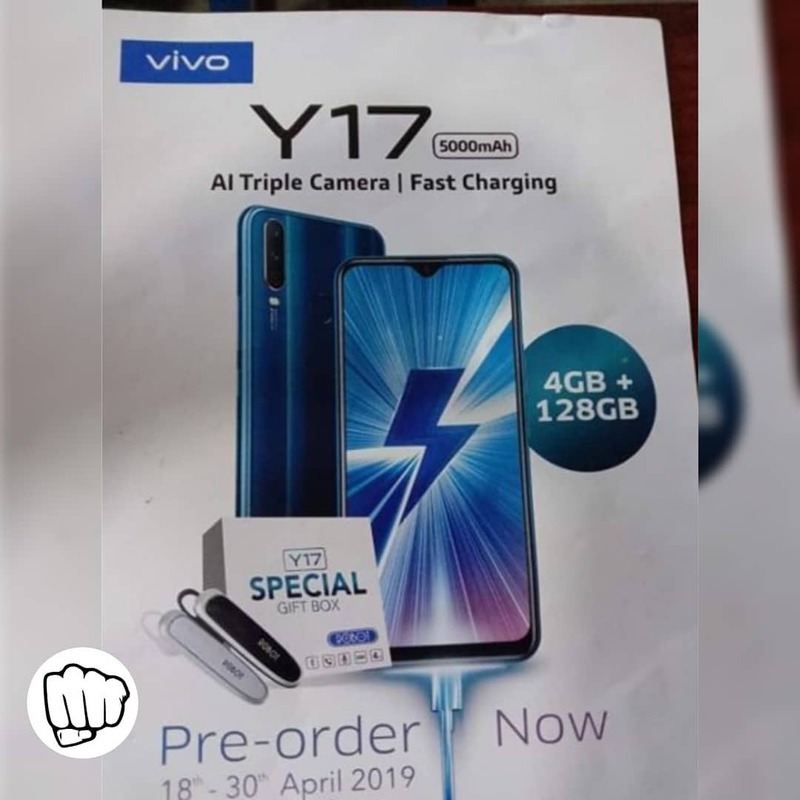 Unfortunately, these posters don’t reveal the SOC Chip or processor of Vivo Y17 though rumours indicate that Y17 sports a 6.35-inch display and may be powered by MediaTek Helio P35 processor. Similarly, there are no details about the pricing of the phone but we expect it to be priced at 15k-20k Indian Rupees. Vivo is expected to launch this phone later this month. Stay tuned at AndroidPure and we will keep you updated.